Don’t mistake this place for an average city museum, because it’s much more of an attraction than that. 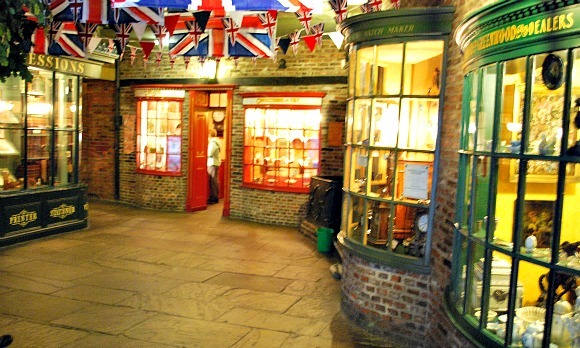 Best of all is the period building where the centrepiece is a huge replica of a Victorian street complete with traditional shops you can visit and talk to the period-dressed shop workers inside. You can buy a sugar mouse, explore the apothocary and visit the carriage stables. The whole thing was really well done. 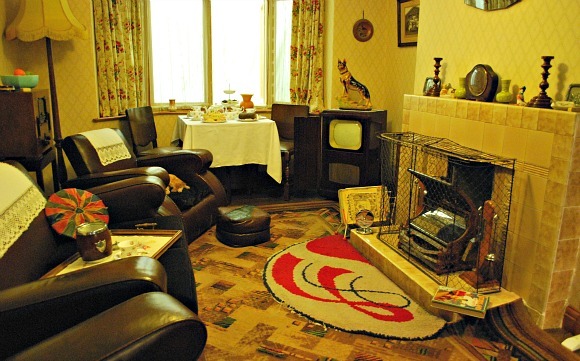 We also enjoyed the period sitting rooms laid out as they would have been at certain points in history like the 1950s front room and the displays on vacuum cleaners and washing machines over the years. 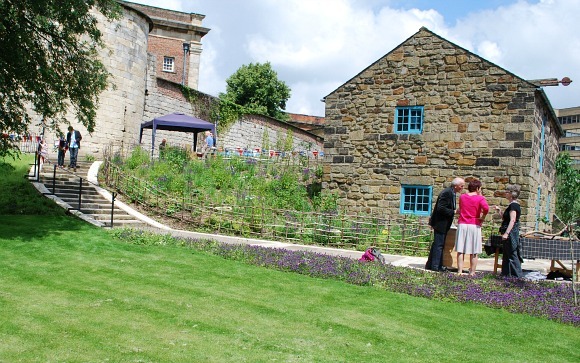 Elsewhere at the museum, the exterior water mill at the rear has just been restored to working condition and is well worth a visit. 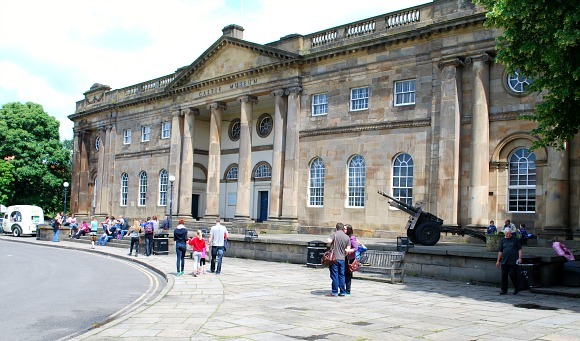 This is an extract from our free York City Guide. The Victorian Street is called Kirkgate and was originally built in 1938. The street has recently been updated and now every single shop is based on a real York business from the late 1800s to the turn of the century. The costumed guides know the history if you ask them when entering each shop. One of the new features on the street is an alleyway called Rowntree Snicket which aims to portray the poverty of parts of Victorian York. It includes a working class home. The key thing to remember when visiting the street is not to rush through it or you will definitely miss something! There really is a lot to see here. You can also pick up a copy of the Kirkgate Newspaper which has more information on each shop or business. Some parts of the second building at the museum, which was a former prison, are more like a traditional museum with lots of things in glass cases, but even here there are some extra highlights to look out for. In particular the 1960s experience which is another mini street scene and a trip into the old prison cells.